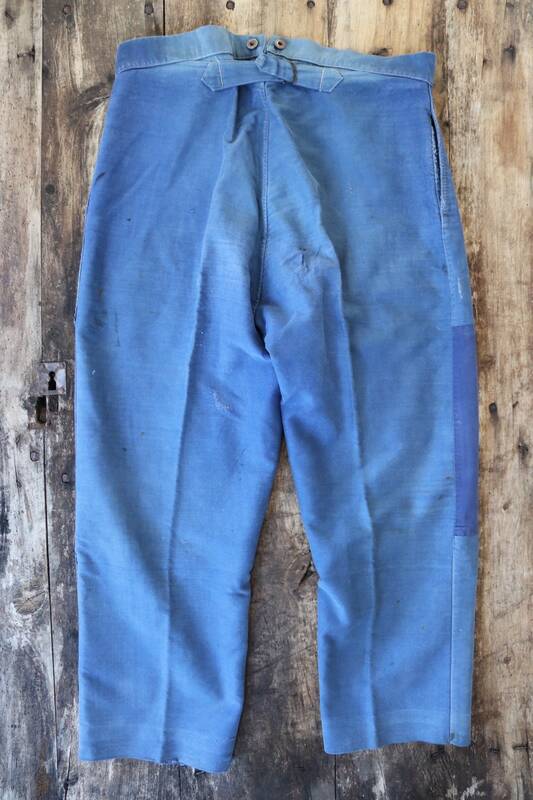 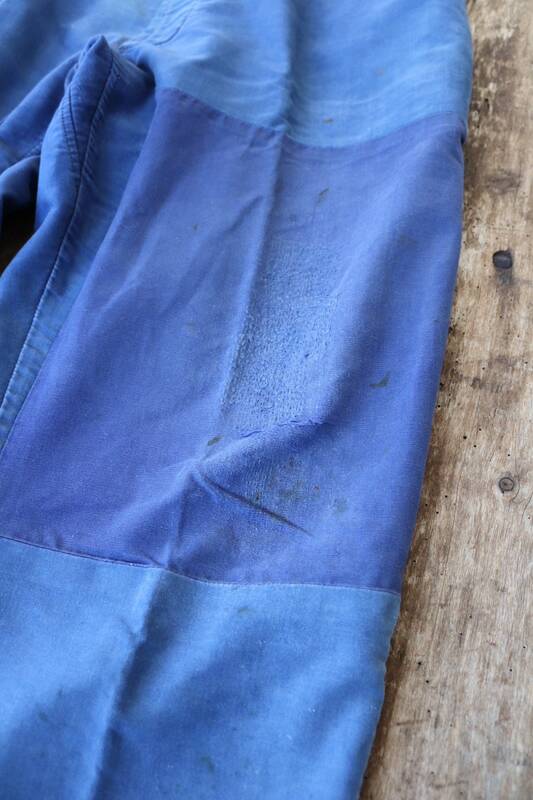 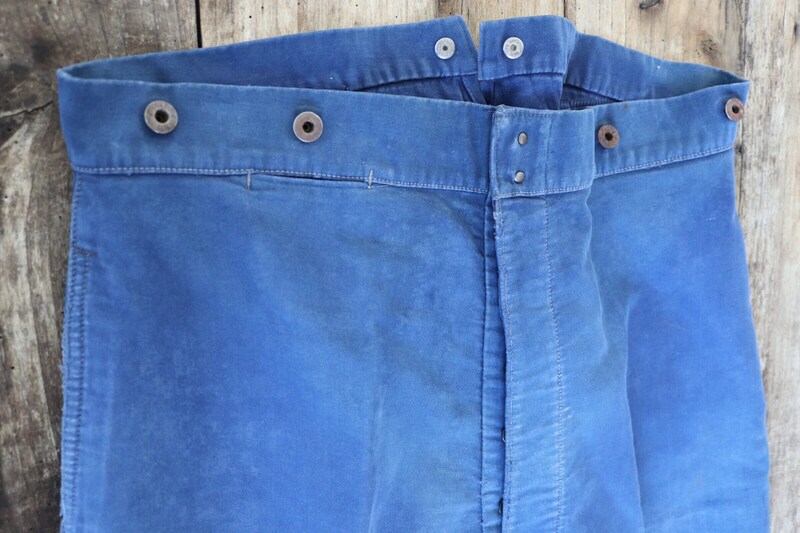 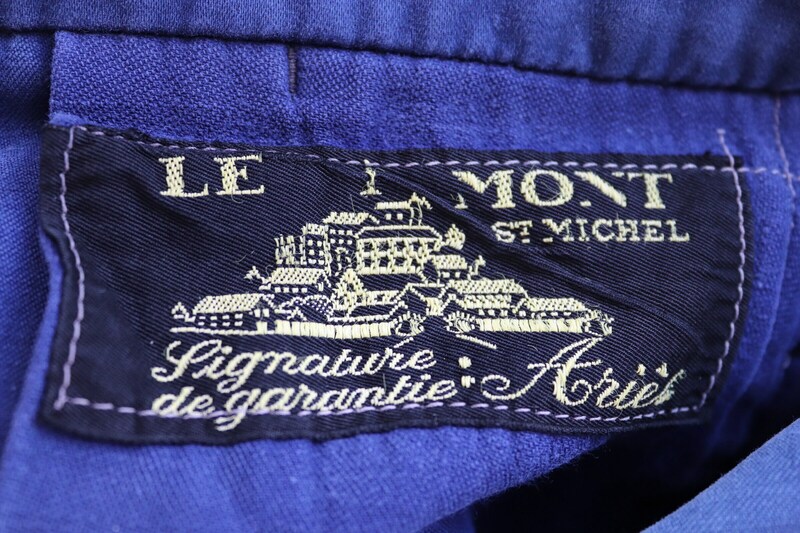 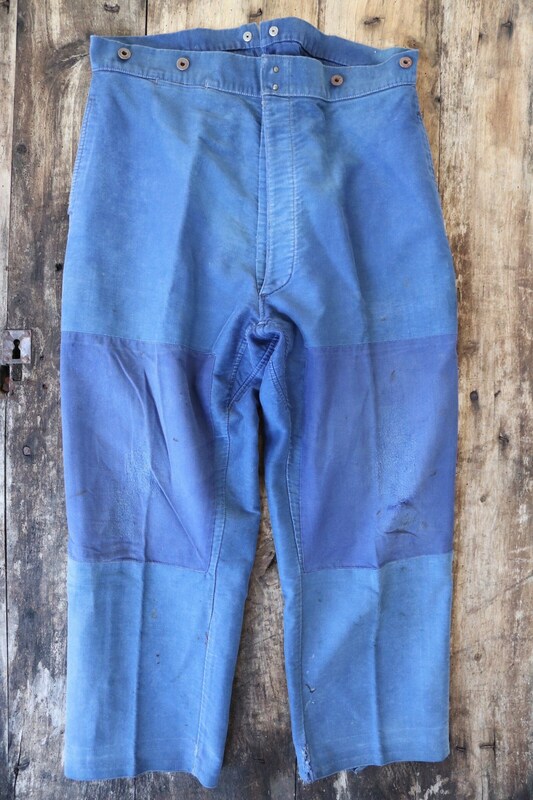 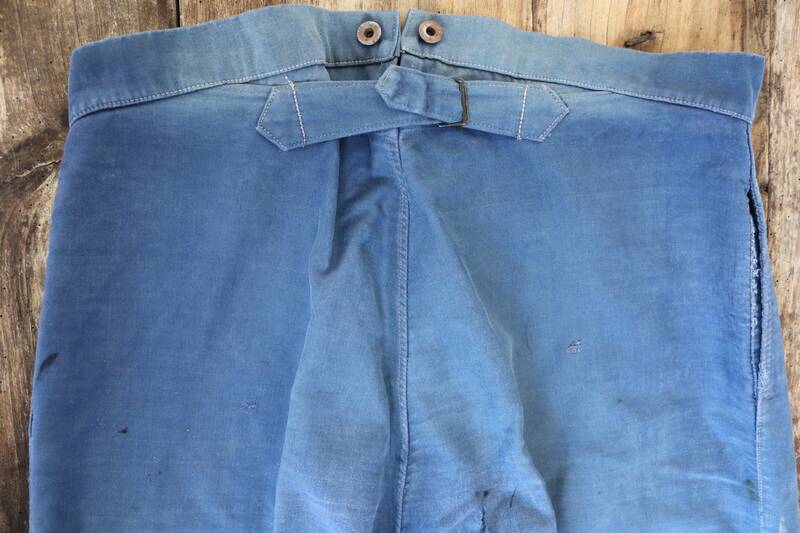 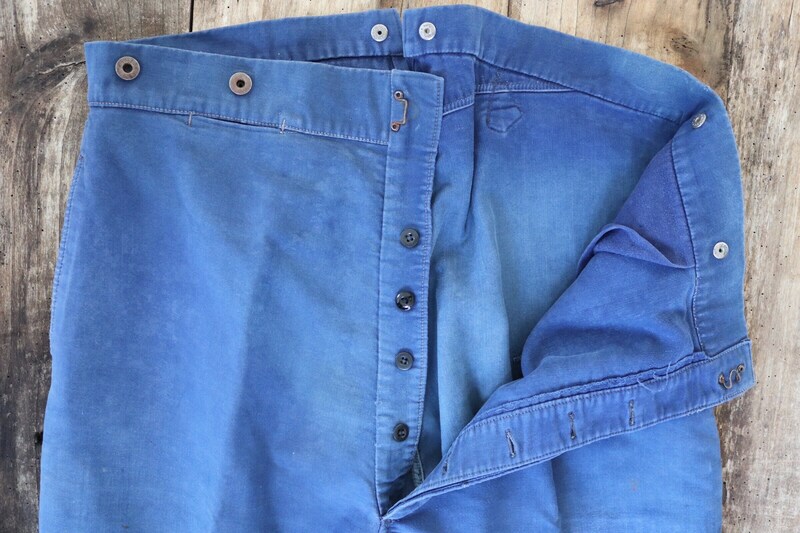 Vintage 1950s 50s Le Mont french bleu de travail blue indigo moleskin chore work trousers pants buckle cinch back patched darned 39" x 28"
A pair of French blue moleskin trousers by classic French workwear brand Le Mont St. Michel, dating from the 1950s. 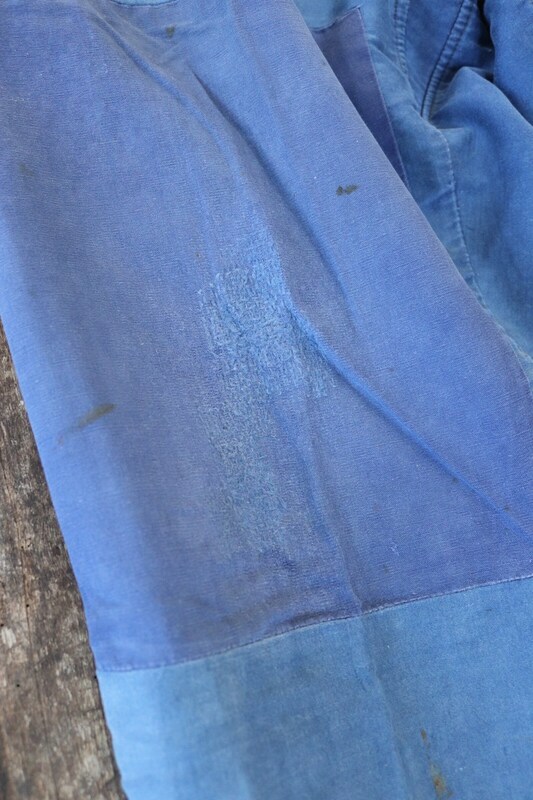 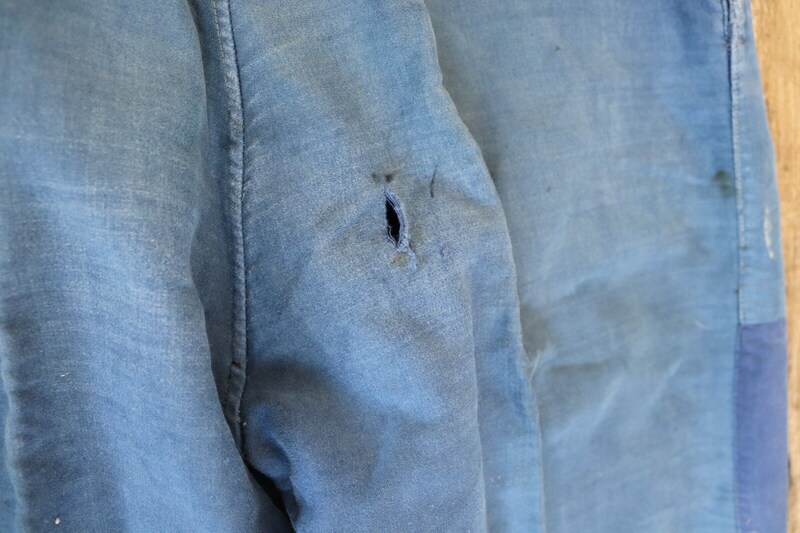 Noted flaws - colour fading throughout, darned and marked at the knees, fray at the left knee and seat - please see photos. 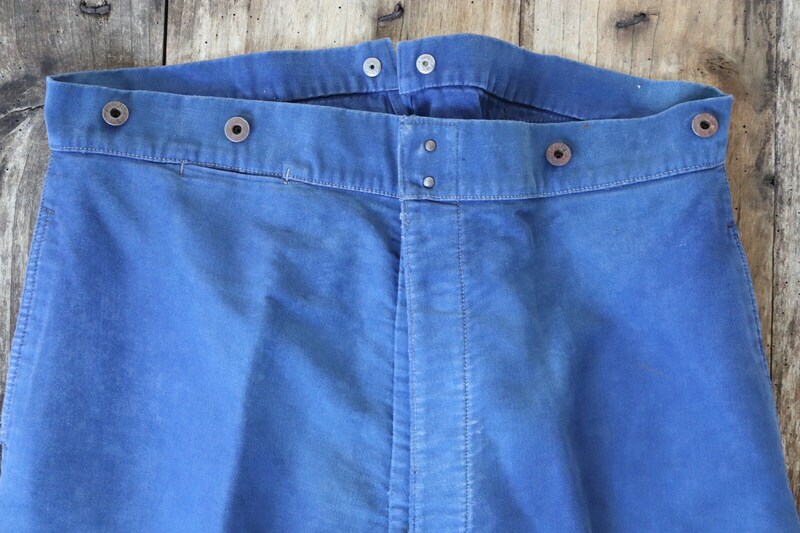 Buckle back fastening, soft thick fabric, button fly and suspender buttons, small change pocket, great quality, classic French workwear trousers.